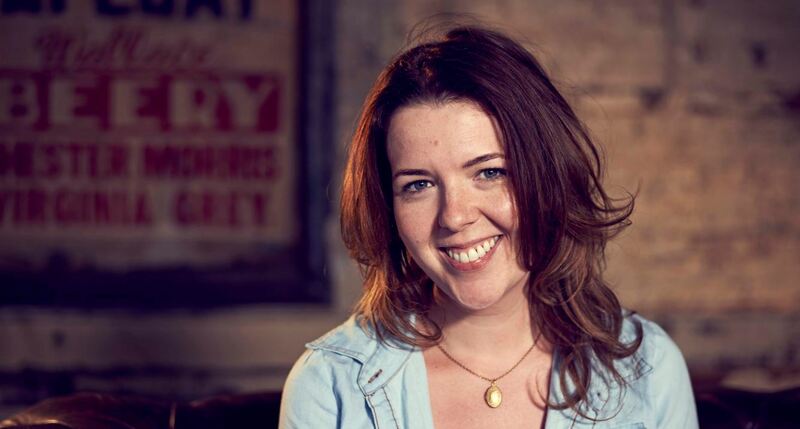 The creative force behind Channel 4’s runaway comedy hit Derry Girls – the multi award-winning Lisa McGee, BA Drama 2002 – has been announced as the 2018/19 First Trust Bank Queen’s Graduate of the Year. Making the announcement, Queen's Graduates' Association (QGA) President Fergal McFerran, said: “I am delighted to announce that the winner of the First Trust Bank Queen’s Graduate of the Year is Lisa McGee, the creator, writer and executive producer of the hit comedy Derry Girls (Hat Trick/Channel 4). “And what a year 2018 has been for Lisa and the team behind Derry Girls! I am so pleased that we are able to recognise Lisa, her talents and the incredible contribution she is making, with this Award. I know that she has fond memories of her time at University and this Award reflects the esteem in which the entire Queen’s University community holds her. The annual award is presented by the QGA with the support of First Trust Bank to an ‘outstanding graduate, who has made a significant impact’ during the past 12 months. The honour from Lisa’s alma mater follows the Gala Award for Writer in Comedy or Soap, which she picked up at the 2018 Irish Film and Television Academy Awards, in May. The same evening, Derry Girls also took home the Gala Award for Comedy! Speaking to Queen’s Lisa said: “I am beyond thrilled to be receiving this Award. It really is such a huge honour. “Queen’s holds a very special place in my heart and I cherish the time I spent as a student there. It’s where I wrote my earliest plays and where I made some lifelong friends, in fact several members of our cast and crew on Derry Girls were old Queen’s classmates of mine. Born in Derry/Londonderry, Lisa attended Thornhill College before coming up to Queen’s to read Drama. It was while Lisa was at University that she scripted her first plays – Girls and Dolls (which won the Stewart Parker Award (2007) and the Blackburn Prize) and How to Get to Heaven from Belfast, which was staged as a student production in The Parlour Bar on Elmwood Avenue. After graduation in 2002, Lisa and three of her friends set up Sneaky Productions which premiered a co-written piece Jump! (later made into a film) which played to enthusiastic audiences in the Cathedral Quarter Arts Festival in 2003. Her impressive and extensive back catalogue includes The Heights, Nineteen Ninety Two, The Opportunists, A Little Pink Light and The Young Man with the Cream Tarts among her many successes, while television credits include Totally Frank (Endemol, Channel 4) and The Things I Haven't Told You for BBC 3. Lisa also created RTÉ's restaurant drama Raw, before working on the Bafta-nominated Being Human (BBC) and on Indian Summers (Channel 4). Commenting on the announcement, First Trust Bank Branch Manager, Charlotte Maguire said: “First Trust Bank is very proud to have been sponsoring the prestigious Graduate and Student of the Year Awards at Queen’s University since 1999. “This year’s winner, Lisa McGee, is proof that a good degree, a prodigious writing talent and a resilient Northern Ireland determination, really can pay off! Previous winners of the Graduate of the Year Award include Johann Muldoon MBE, who was Best Woman Architect in Europe winner in 2017; Jonny Bramley, BAFTA award-winning BBC Sport Executive producer; and Ramona Nicholas, entrepreneur and former RTÉ Dragons’ Den panel member. Lisa is married to English actor/writer Tobias Beer, and lives in Balham in south London, with toddler son Joseph. The couple are currently working together on a marital thriller entitled The Deceived, which is based in Cambridge and Donegal. The 2018 Charter Day Dinner, which takes place on Friday 23 November in the Isdell Courtyard at Riddel Hall on the Stranmillis Road, is a QGA ‘black tie’ event and booking priority will be given to members. Media enquiries to Gerry Power, Communications Officer, Development and Alumni Relations Office (DARO), tel: +44 (0)28 9097 5321. Award enquiries to Natasha Sharma, Alumni Relations Officer, DARO, tel: +44 (0)28 9097 3135.